Representing the fourth generation of Gretsch musical-instrument manufacturers, Fred and Dinah Gretsch made a visit to New York City’s Central Park today — the 30th anniversary of the assassination of legendary singer, composer and musician John Lennon. The couple was there to place a Gretsch Historic Series acoustic guitar near the “Imagine” memorial within the Strawberry Fields area. The guitar was inscribed with the word “Imagine” as well as being signed by Fred and Dinah. It was their way of paying their respects to John Lennon and to all his fans. Although the Gretsches have lived in Georgia for many years, Fred Gretsch spent his boyhood in the New York City area. In addition to the fact that John Lennon played the guitar, Fred Gretsch offered another reason for its sentimental value. “It would have been made in the 1960s at the Gretsch factory in Brooklyn,” he explained. 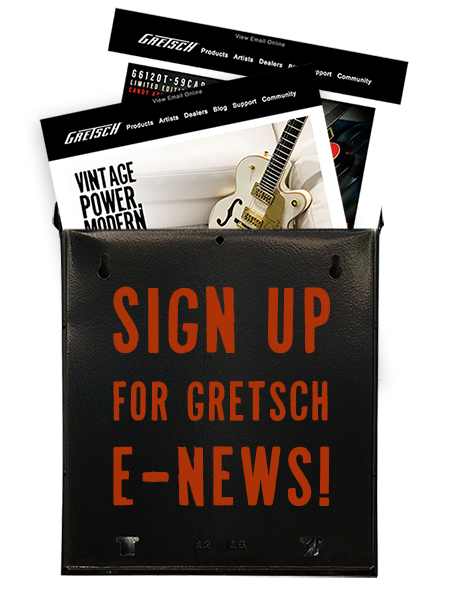 “My uncle, Fred Gretsch Jr., was running the company at that time. And ironically, Uncle Fred died in 1980—the same year in which John Lennon died. CLICK HERE to watch video from the visit.